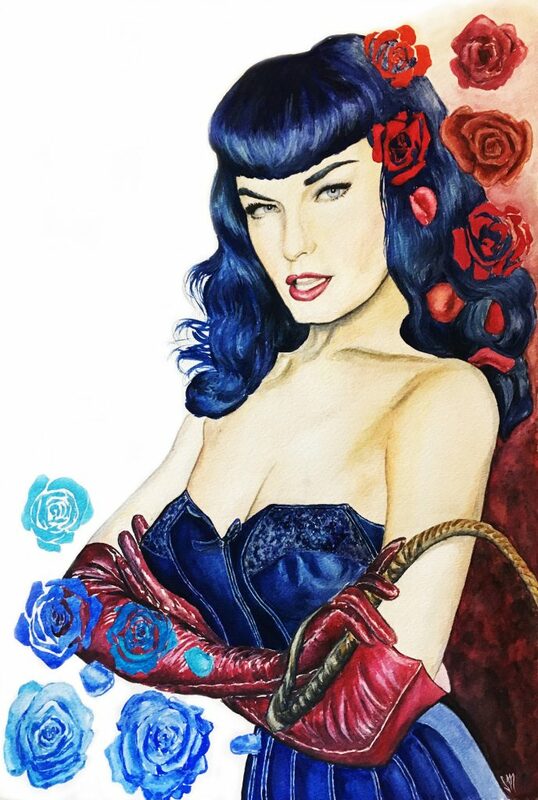 Featured here is a portrait of Bettie Page, the 1950s alternative pinup queen, without whom we would have no Dita Von Teese, let alone the legions of other glamorous pinup types Page has inspired over the decades. For this as well as the Dita illustration I left my comfort zone to work larger scale than usual. Sans frames, they'll be 13x19 inches each. Not exactly huge but most of my illustrations are 11x14 or 9x12 even. Anyway it feels really good to be part of this show (I'll post details as soon as I have them) after a number of false leads in an increasingly high number of opportunities in the art industry that, while legal, feel scammy and predatory. More on that in an upcoming post.